While on the trail Liz and I have a lot of time to think and talk. We play silly games and come up with all the awesome blog content that never gets written. And occasionally we actually make a note or two about what we’ve talked about that we think might actually be an interesting blog post. This is one such blog post that, fortunately, actually got written. It couldn’t be someone’s actual home, we’ve stayed at a number of peoples houses and they are all the best, and would easily trump anything on this list, so if we’ve spent time in you’re home, know that it was better than anything on this list and thus wasn’t allowed to compete. It just wouldn’t be far. In the same vain of “playing fair” major hotel brands/resorts or anything paid for with “points” or gift cards wasn’t allowed to be included either. It had to be a hostel, small hotel, rental property, AirBNB, etc.. i.e. something we’d normally consider as a backpacker/traveler. Again level playing field. We decided to open it up beyond our current big voyage. We’ve stayed at a lot of backpacker places over the years and some are part of the reason we decided take the big plunge and travel extensively for a while. 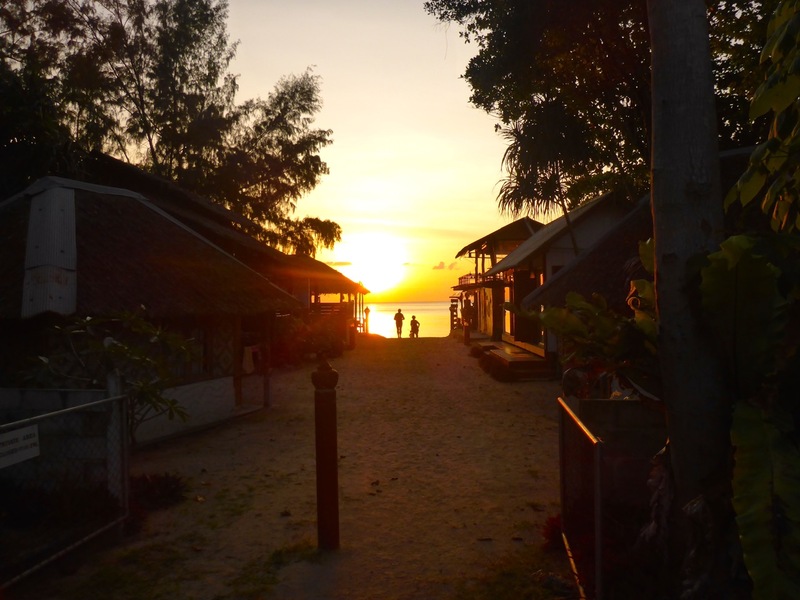 Koh Lanta, Thailand – This is the Thailand experience we expected. Cute, cheap, and clean, bungalows right off the beach with a hammock to lounge in while the sunsets. We only got a couple of nights there because they were completely booked with repeat customers. Neels Gap, Georgia – The hostel that started it all for us. Way back when Liz worked for Arby’s we went on a backpacking trip up Blood Mountain and at the end found Pirate and his the Hostel on the AT. It was the first hostel experience for either of us. We found a warm place to sleep, a cool vibe and great people. This is the first place we got our trail names. For various reasons at lot of people that through hike the AT (or any other long trek) use trail names, basically nicknames, only cooler. Pirate ran the hostel, we meet Virgin at a waterfall and Cool Breeze gave us a ride back to our car in the hippy shuttle. Moshi, Tanzania – We stumbled onto this one after the place we found online (but didn’t book) was full when we arrived. It’s run by some awesome Spaniards and proceeds from the hostel go to a local school they started. They’re hard working and focused on the environment; while we were there Sam, the owner, was building a swimming pool by hand to soak the locally sourced bamboo they were going to use for another building project. Industrious to say the least. Sam was extremely helpful in booking our Kilimanjaro trek and very transparent about the whole guiding industry in Tanzania. If you’re ever in Moshi, this is the place to stay. Bangkok, Thailand – This is the only one on the list that may no longer be in operation as a hostel. Lub d has a number of hostels in Bangkok and we had a great time our first time in Bangkok staying at Lub d and hand a great time on Halloween there. So the next time we were moving through Bangkok we cashed in the free night at Lub d Surf we had and it was pretty cool. It wouldn’t call it homey or particularly friendly, but it did have a giant artificial wave, It’s located at FlowRide in Bangkok and it was pretty cool to have a pool and wave for entertainment. San Raphael, Costa Rica – When we reached out to Esteban of Centaura stables a few years ago about budget accommodations near his place where we could ride he said he had a room in the barn. Liz was in heaven. It was simple room with just a bed, no internet, no TV, just a bed in a room next to a bunch horses. I was slightly annoyed by the horse that decided to play with the rake that was leaning up against it’s fence… clank, clank… clank, clank, clank, all night long, but was it warm and cozy and seeing Liz so happy was totally worth it. Pokhara, Nepal – Clean and tiny (4 rooms total) at the end of Lakeside in Pokhara site Banyan Tree our home away from home in Nepal. The rooms were economical to say the least <20% of the going rate at the other end of town. Clean, hot water, wifi and a great view, what more do you need? The staff was nice even letting us borrow a couple of glasses for the celebratory wine we had brought with us from the states – thanks to Gavin Davis!! DaLat, Vietnam – Yes, it’s really called The Wolfpack. 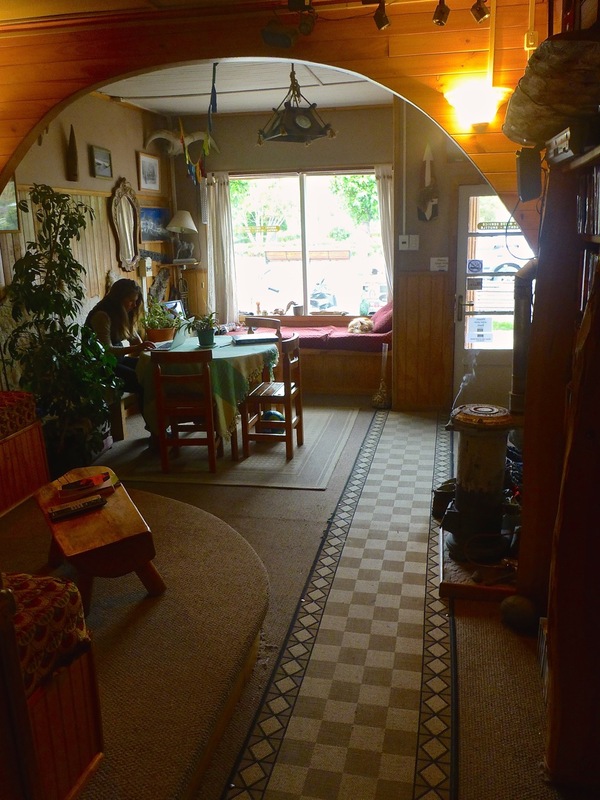 This was another super homey hostel, completely with an optional family diner. The owner was an ex tour guide and really understood hospitality. He arranged great tours for us at great prices and event rented us his scooter for a couple of days. Constantly going out of his way to be helpful, on his way back from dropping another guest off at the bus station he saw me walking to the ATM, he pulled over asked me where I was going and told me to hop on as he drove me to the ATM and back to the hostel. Above and Beyond. Whistler, British Columbia, Canada – We took a practice trip, of sorts, last July to BC, staying only at hostels, camping, AirBNB, etc, and trying not to book anything more than a couple of days in advance. Basically a practice run of our life on the Big Trip in a country that speaks English and is pretty easy. After a few days camping in Garibaldi Park outside of Whistler, we ready for a warm shower and figured we’d try and score a deal on HotelTonight. HotelTonight is an app that lets you find last minute deals on hotels, but only allowed you to book the same day of your arrival, perfect for us. (They’ve since expanded it to a few days in advance, which is great). We saw a great place for a great price with a hot tub, I was sold out (if anyone knows me at all they know that if a hotel has a hot tub it jumps to the top of the list for me).It was late as we had hiked into town that day and so after book on HT we were checking it a little after 9:30pm. The guy at the registration desk was a little flustered as it was a super busy day, and he was the only one working, he hadn’t had dinner and his system wasn’t cooperating with the HT system. He said he didn’t actually have the room we had booked on HT but he had another one that was equivalent. We told him it was great we just wanted to get in the hot tub before it closed at 10pm. Liz ran to the car to get our bags while I completed the registration process. After putting on our swimsuits we heard that all to recognizable beep of a smoke detector with a low battery. Another beep and I found it… on the ceiling; the vaulted ceiling over 15 feet up. No worries we’ll tell the guy on the way to hot tub and it’ll be fixed when we get back. While we tell the guy Liz asks him if he had gotten any dinner yet and he says no, so she gives him an apple and a Cliff bar from our rations. He was grateful. We enjoyed the hot tub and some hockey talk (what else would one talk about in a hot tub in Canada) and upon our return our friend at the registration desk was apologetic, he hadn’t been able to fix the smoke detector but he had another room for us. He gave us the keys and mentioned, the hot tub doesn’t close, as long as you’re quiet. Our new room is unbelievable, kitchen and living room on the first floor, bathroom on the second floor, and bedroom on the third floor. Oh, and a private hot tub on the balcony overlooking Whistlers Main Street. Out of curiosity the next day I looked to see if I could find the normal price for the room we had… let’s just say it was WAYYYY out of our price range. It makes the list not only for the amazing room but the extremely generous and help registration desk guy. While we can’t guarantee you that kind of deal we can give you our coupon code for $25 off you’re first booking with HotelTonight and well get credit towards a future booking as well. Just use the promo code RAGOSTIN when you register. Annapurna Circuit, Nepal – I’m pretty sure we were the first people to sleep on the mattresses at The New Guest House. The rooms still smelled of fresh cut timber and the views were out of this world. 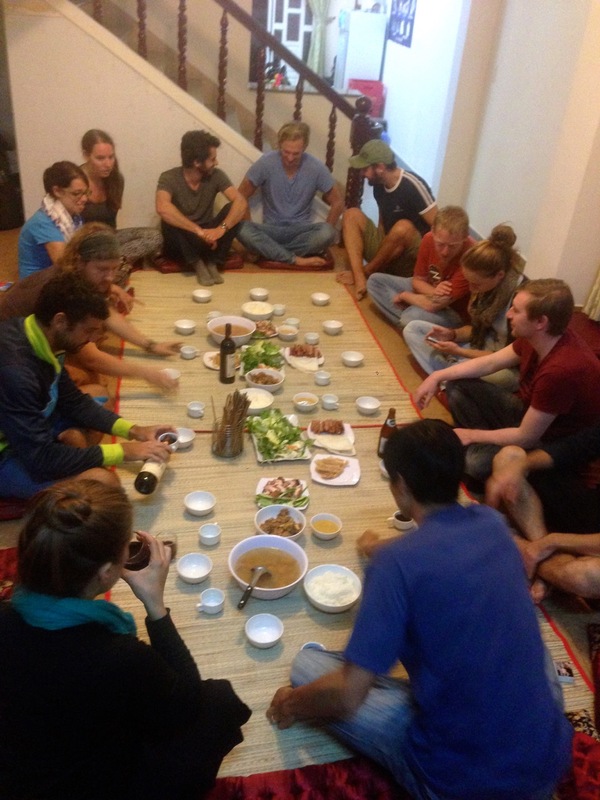 The hosts made our stay extra special by graciously invited us into the kitchen while they prepared dinner, this is extremely UNcommon in Nepal as kitchens are typically very private places for the family and the occasional guide or porter. 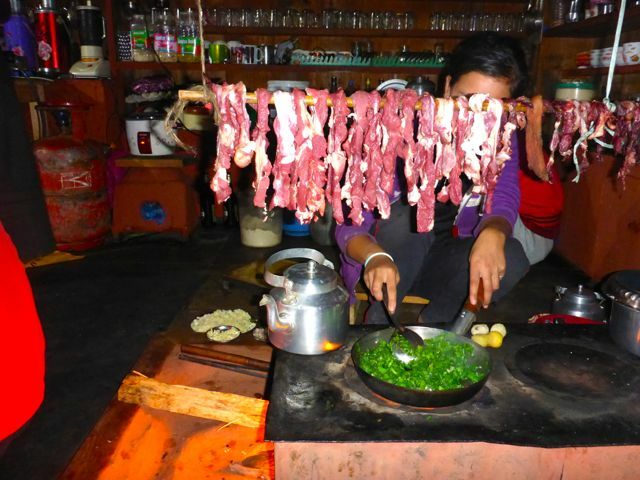 We got to warm ourselves by the oven and watch the goat meat dry overhead. It was pretty magical. 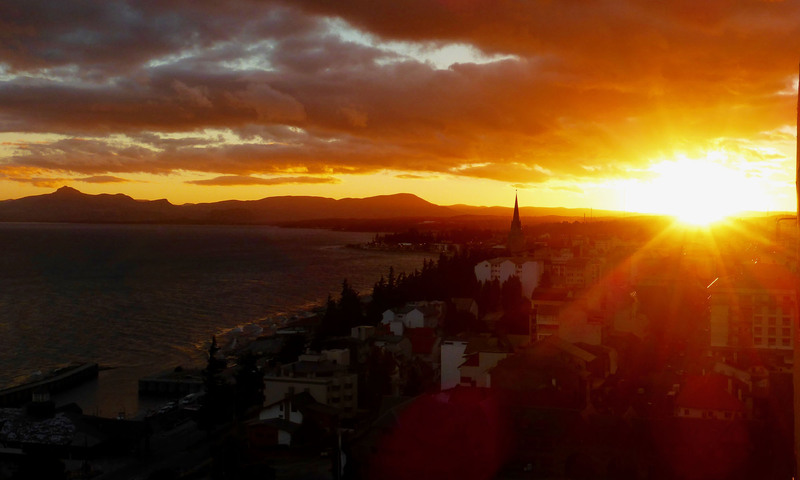 Puerto Natales, Patagonia, Chile – This is the place we almost never left. Bill, Kit and the crew made us feel so welcome from the moment we walked in the door. 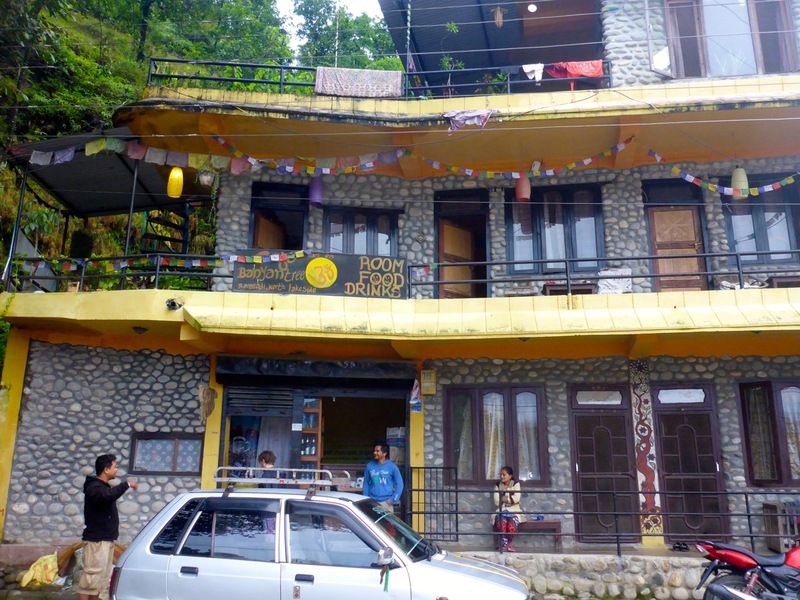 Helpful and easy going clean and homely; It’s what every hostel should feel like. A well equipped kitchen that we actually enjoyed cooking in, cozy common areas, an amazing included breakfast, and caring helpful staff. Somewhere, Out there – We’re drawn to new places and new adventures, and often the best place we’ve stayed is the place we’re at right now or the place we’re looking forward to next. Got a hostel or AirBnB we should check out? Know a small hotel that we’d just love? Let us know and we’ll try and check it out somewhere down the road.